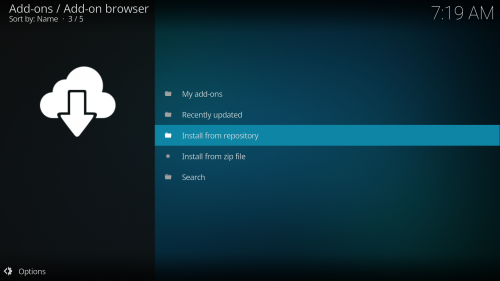 Step 2: Select the repository you want to install from. 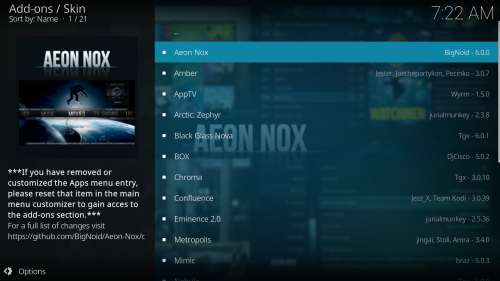 If you haven’t added any additional repos and are only using the default Kodi.tv add-on repo, then you will automatically be placed in this folder. 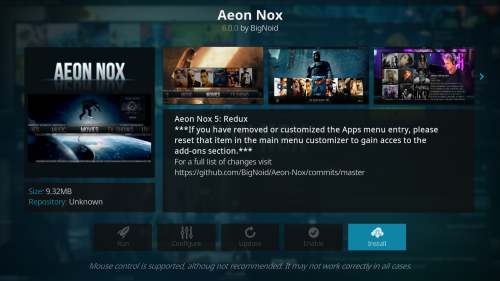 Step 3 Select the add-on category, in this case Look and feel (applies to Kodi Jarvis and up only). Step 4: Select the add-on sub-category, in this case Skin. 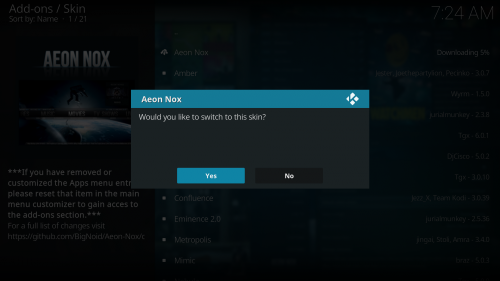 Step 5: Select the add-on you want to install, in this case the skin Ace. Step 6: A summary dialog will be brought up allowing you to see various properties of the add-on. Select Install to begin automatic downloading and installation. Step 7: In the case of skin installation you’ll be asked if you want to change to the installed skin immediately.